In the five short years that Uber has been in business, it's made quite an impact on the world. It's become a popular mode of transportation for millions - a recent ProOpinion poll showed that 18 percent of respondents have used Uber while on the road for work, compared with 9 percent having used its fiercest competitor, Lyft. But more than just a convenient way to get around, Uber has shaken the foundation of the transportation industry and may be helping to change the job market. Steaming ahead even in the face of challenges from politicians and harsh consumers, Uber may be at the crest of the future business wave - and it shows no signs of crashing. "Some professions can be broken into tasks provided on demand." The New York Times reported that app-driven businesses like Uber are changing the way we think about certain services. Uber has shown the business world that some professions can be broken down into tasks - services performed on demand by people with the tools and spare time to do so. When you think of how simple the Uber model really is, the possibilities are endless. Right now, Instacart will take care of your grocery shopping if you don't have the time, and Upcounsel will provide you with valuable legal advice for a nominal fee. The list could go on, but the point is that certain services can be easily accomplished without the traditional business model. Uber owes its very existence to a new trend in business technology that essentially means drawing on resources from other companies for some operations. According to the Boston Globe, Uber is just one of many new start-ups that exist in part because of applications programming interfaces. APIs are what apps use to communicate with software in the tech cloud that provide transmission of certain data, like payment processing and mapping. APIs allow companies like Uber to avoid becoming experts in mapping and location, and instead let them focus on their own services. But it's not just with technology that Uber is transforming the business landscape, it's also the nature of its business model that has economists wondering how it will effect the economy. Michael Skok, a general partner with North Bridge Venture Partners, told the Boston Globe that while Uber and its competitors have shaken the transportation industry, you can expect similar businesses to pop up and have similar effects on other industries. The cab industry is one of many professions directly threatened by app-driven businesses like Uber. Business Insider reported that Uber, and businesses like it, are part of a new "sharing economy" that has both positive and negative aspects. On the plus side, companies like Uber and Airbnb allow people to share in the use of underutilized resources - something economists applaud. Airbnb has people renting-out rooms or guesthouses they otherwise wouldn't' be occupying, and Uber lets people use their vehicles to cart around those who don't have one or in the least, just need a lift. The most obvious problem with the introduction of a sharing economy is that it takes business away from traditional providers of these services, like hotel and taxi companies. 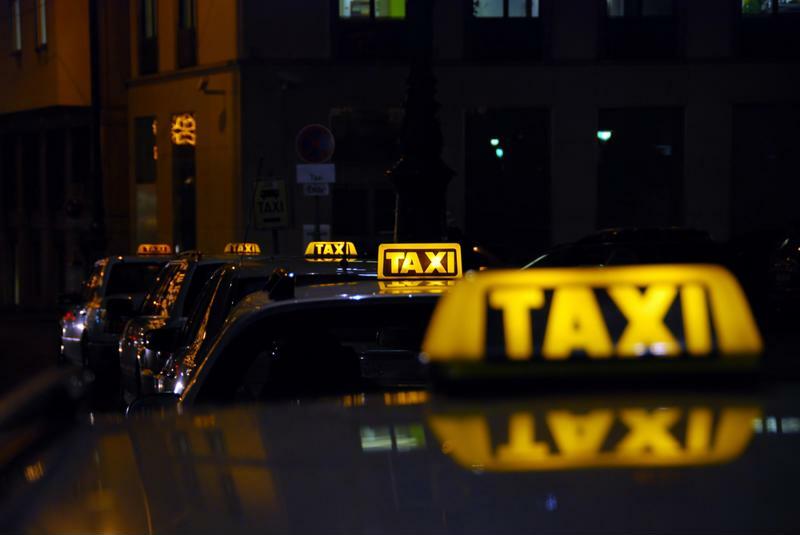 Forbes magazine reported that, in some cases, cities around the U.S. are aligning with taxi industries to combat Uber on what they see as an intrusion on their market. Cities such as Cambridge, Massachusetts, even have legislation in the works that would effectively ban Uber altogether. Sharing services also violate the usual health, safety and other regulations, including tax codes, that are applied to traditional methods of services in these industries. For example, most cities, like New York, restrict the number of cabs so cabbies will have a reasonable market to make a living in, according to Forbes. Unless Uber and other taxi alternatives are restricted in the same way, it not only means diminishing the market for traditional taxis but also for Uber's own driving partners if the market is suddenly flooded with drivers. Airbnb doesn't collect or pay the same taxes as its competitors - while that may be beneficial to consumers and the people renting out rooms, it doesn't do much for the local economies they are operating in, according to BI. What's more, there are no safety inspectors coming to the rooms provided by Airbnb to ensure they're up to the health and safety standards that regular hotels are. While there are many aspects of sharing start-ups that provide challenges to the established business system, it does little to change the fact that Uber and its contemporaries are attracting millions of users across the globe. At the same time, these app-driven businesses are also providing a new form of income for many. "Uber employed 160,000 drivers in the U.S. by the end of 2014"
Alan B. Kreuger, Professor of Economics and Public Affairs for Princeton University, partnered with Uber to produce a report on the unique employment opportunities it provides.The report showed that at the end of 2014, Uber had 160,000 drivers in the U.S. alone. Additionally, Uber drivers were working fewer hours and making more money than regular cab drivers. That last stat could be why nearly a quarter of Uber's drivers don't have any other form of income, and 38 percent already have a full time job, but work with Uber for extra money. According to the report, 91 percent of Uber drivers are working with Uber for additional income, and 87 percent chose it because they want more flexibility with their schedule. Flexibility plays a crucial role in why the Uber model can change the job market. Around 50 percent of Uber drivers are married and just over 46 percent have children at home. It's an appealing job for parents who need a decent income they can earn while their kids are at school. Those who work full time during the day can provide Uber services whenever they have the spare time and energy to make extra cash. The downside to employment with Uber is that drivers are actually independent contractors, so they don't receive the benefits or job security provided by regular employers, according to the New York Times. There is also the fact that such employment is unpredictable and could lead to an unstable work force if significant numbers of people are providing piecemeal services for a living. So while it's obvious that companies like Uber highlight a significant change in the business world, it remains to be seen just how that will affect the future economy.